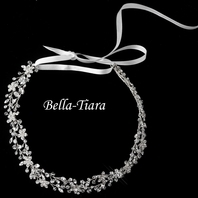 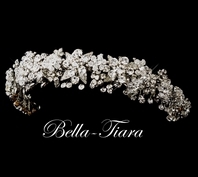 Description: Ribbon headband decorated with sparkling rhinestones and dazzling Austrian crystals. 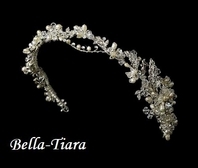 A beautiful swirling and elegant pattern radiates classic style and grace. 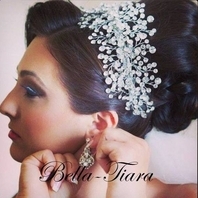 Perfect for weddings, communions, proms, Quincenera celebrations and more!